Born on the Dutch Caribbean island of Aruba and raised on the French/Dutch Caribbean island of St. Martin/St. 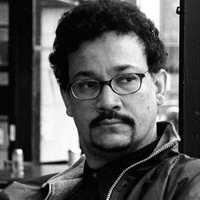 Maarten, Gregory Gumbs has published poems in anthologies and magazines worldwide, including The Netherlands—where he studied, lived and worked both as a lawyer and a criminologist before moving to the United States—England, France, Ireland, the Caribbean, New Zealand, Australia, India & Canada. Gregory is currently a doctoral candidate in Political Science at the Catholic University of America in Washington, DC.